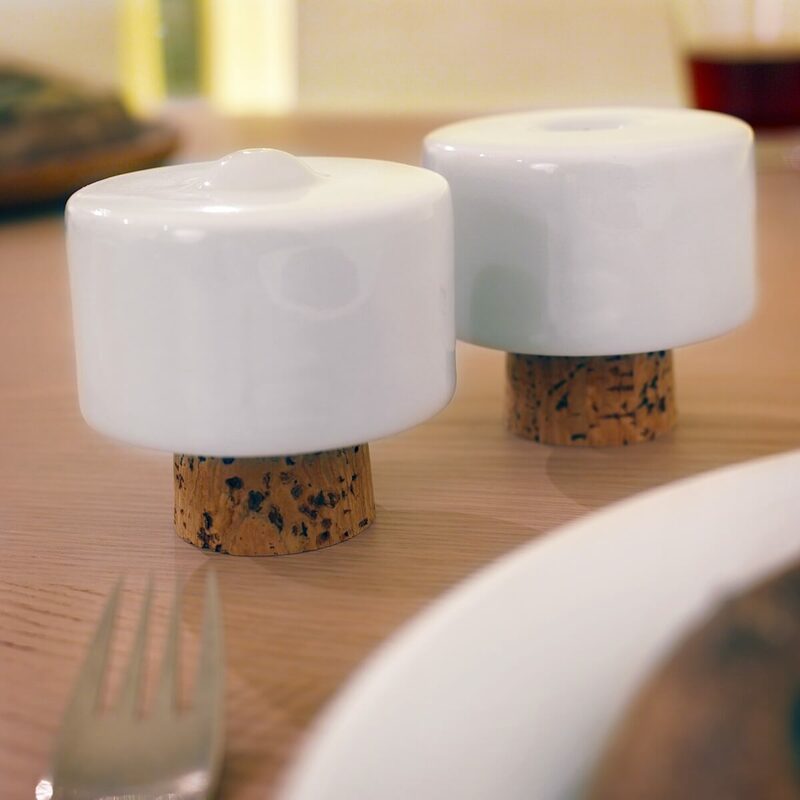 Easy to refill salt & pepper shakers. 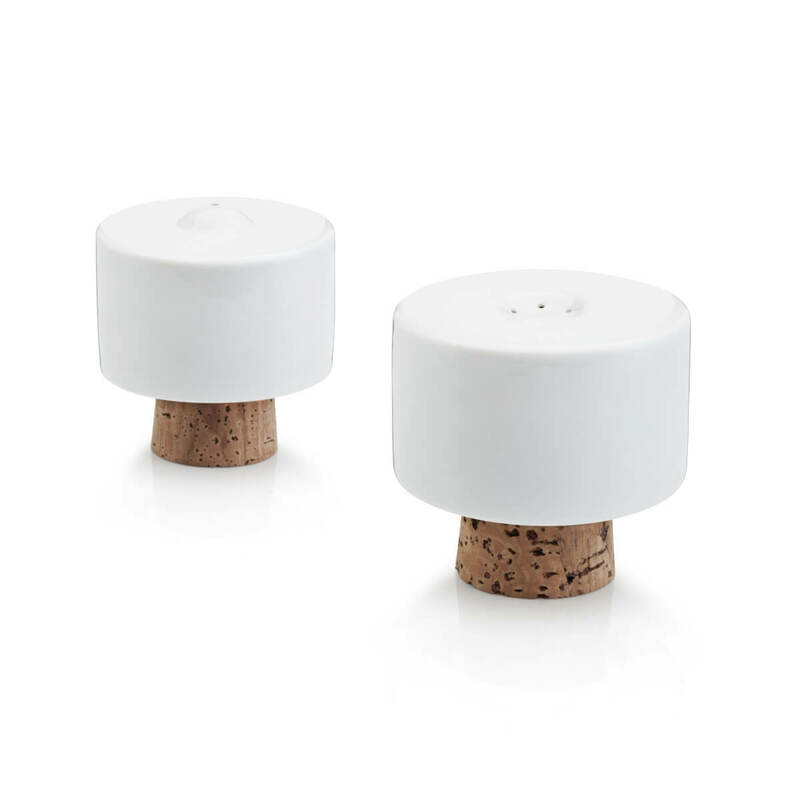 Made from cast porcelain the shakers ‘stand’ on the cork stopper which because it is large makes the shakers easier to open and refill. 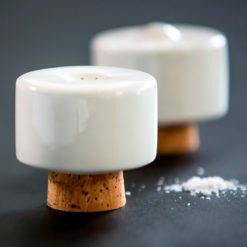 The salt has a single hole which the pepper shaker has several making them easily distinguishable.